The Institute for Faith and the Public Square is dedicated to explore the intersection of faith and politics. 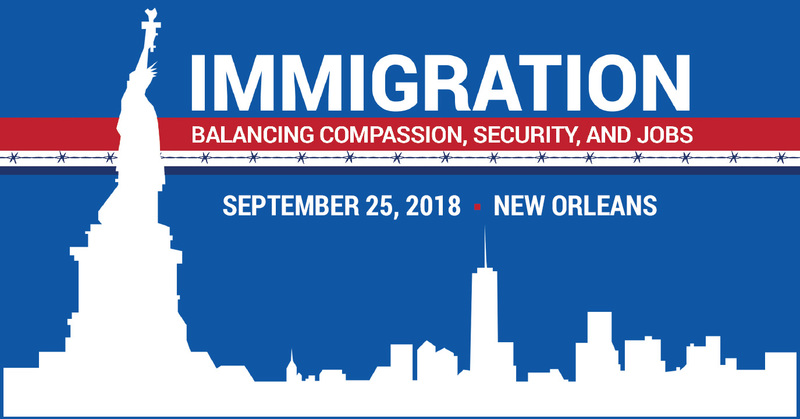 This year's conference focused on the topic of "Immigration: Balancing Compassion, Security, and Jobs". It was held on September 25th 2018, 7:00pm-10:00pm @ New Orleans Baptist Theological Seminary, Leavell Chapel. IFPS © 2015. All Rights Reserved.